Aviation of Japan 日本の航空史: It's Not That It's This! No It's Not! Etc. Recently a friend of mine wrote that he was tired of The Great Zero Colour Discussion because people will continue to illustrate white Zeros regardless! So true and I can understand his weariness. I thought about it on seeing that the latest Fine Molds Mitsubishi C5M2 kit (now available) recommends GSI (Gunze) Mr Color 35 IJN Gray Mitsubishi for the overall finish. 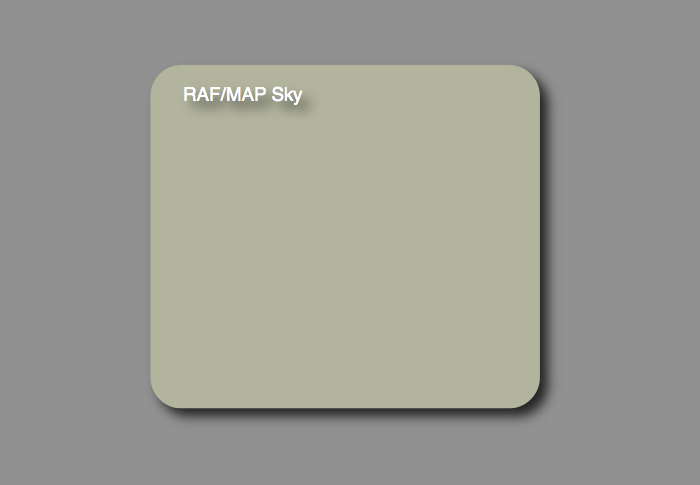 Those stubborn purveyors of RAF Sky-like grey-green for the Zero will be disappointed because that paint is actually a rather bright, light, slightly blueish grey. 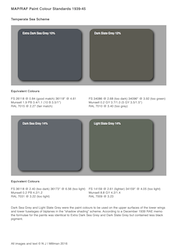 The sample of Mr Color 35 paint that I measured in 2010 was a Munsell B - Blue - 4.7 B 6.4/0.8. Interestingly the Hobby Color version H61 IJN Gray measured at the same time as a Munsell GY - Green Yellow - 8.9 GY 6.2/0.7. I haven't tested more recent bottles but it appears that H61 in the new bottles is now closer in appearance to the light blue grey of 35. Both Munsell values indicate very low blue colour saturation, or chromacity, from neutral grey. And the perception issue of low saturation blue or green undertones is well established. Some might perceive more green, others more blue. In 1972 Matchbox suggested FS 37875! That Munsell value for Mr Color 35 is interesting because both the closest FS 595 and RAL values are at exactly 1.69 in difference where < 2.0 = a close match. However they travel in slightly different directions. FS 36373 is a Munsell BG - Blue-Green, again of very low saturation, whilst RAL 7040 Fenstergrau (Window grey) is a low saturated PB - Purple-Blue. Pigments for 36373 are rutile (non-chalking) titanium dioxide (white), phthalo blue (red shade), natural raw umber (a dark, slightly greyish brown) and carbon black (blue shade). If you look at one and not the other, without looking at 35, they will mislead, despite their closeness. 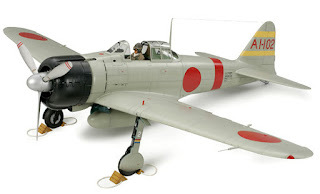 The idea of a light blue grey for the Zero seems very strong in Japan and appears to have made a comeback for modellers after popularity in the 1980s - although not with the makers of the Eternal Zero movie. The surface of the real paint does in some cases shift towards a light slightly blueish grey as it chalks* and degrades from glossy to dull matt. Most of the argument for light blueish grey as the original factory colour seems to be the emotional, personal choice kind (it does look smart on a Zero model) where the preferred colour is settled on before the evidence is marshalled and any inconvenient contradictory evidence is simply disregarded. Another idea promotes the grey-green colour, infamous as hairyokushoku (ash green colour), which in the minds of its adherents somewhat resembles RAF Sky, a cool, minty light green with a slight blueish undertone. Or maybe that's a cool light blue with a slight minty green undertone? Usually those arguments come with images lifted from online GSI or Tamiya colour charts or photos of models from Tamiya adverts (above), or rely on the semantics of colour descriptions - ambiguous at the best of times but even more so in Japanese. Rarely if ever do they incorporate physical analysis of the real paint - let alone the scientific measurement of it. Both ideas are more wishful thinking, if not a cult, than science. And we are well into an era of post-revisionist revisionism where fad often defeats fact. Tamiya XF-76, which in colour charts and their own model adverts often appears to support the minty grey-green brotherhood, is, as measured (and sorry to disappoint), a Munsell Y - Yellow. It is slightly more greyish than the Zero factory paint - at a difference of only 3.67 - being something of a compromise between the original amber-grey appearance and a slightly oxidised and chalked appearance, or, alternatively, between J3 leaning slightly towards ameiro and plain ol' J3. Note especially that it has an identical Munsell lightness value of 5.8. The pigments and their ratios in XF-76 paint are as follows:- Titanium Dioxide (white) 16.5%, Pigment Green 7 (Phthalo Green) 0.2%, Red organic 0.2%, Yellow organic 0.5% and Diatomaceous earth 0.7%. Pigment Green 7, although a strong tinting colour (despite being transparent), is known to darken and dull with long term exposure. The red and yellow organic pigments are not specified and there are several different types. Diatomaceous earth is a naturally occurring silecious sedimentary rock ground into a fine, off-white powder used as a filler and matting agent. XF-76 is perhaps more representative of a moderately weathered aircraft in service for several months. Depending on lighting it can appear browner or greener, brighter or duller in online model images. Tamiya XF-14 (IJA Grey) is intended to represent the JAAF paint colour # 1 Hairyokushoku (ash green colour) and is often suggested as the basis for the Zero colour in the erroneous belief that the Army and Navy paint colour standards were identical. It is actually further away from the original paint colour value than XF-76 and there is no comparison between the Army colour # 1 Hairyokushoku and the Kariki 117 ‘M’ series Hairyokushoku beyond the common name (# 1 vs M1 are at a difference of 20.1). The pigments in XF-14 are Titanium Dioxide 17.7%, Carbon black 0.1%, Pigment Blue 15 (Phthalo Blue - type unspecified) 0.1%, Pigment Green 7 0.1%, Red Organic 0.1% and Yellow organic 0.5%. XF-14 might be considered by some to provide a reasonable out of the bottle representation of 'scale colour' on a moderately weathered aircraft but it also lacks the distinctive amber undertone. Hopefully the relatively subtle differences in the Zero colour, IJA # 1, XF-76 and XF-14 will be apparent from this presentation. 'Ame iro' - a colour - has a quite different sense to 'ame' alone which also means rice jelly or candy. For most Japanese there is indeed a 'sense of transparency' in this term (which might have given rise to the idea of a clear varnish applied over grey paint, ambering as it aged) but it is also used to describe an opaque, solid colour. So when the author of Kugiho 0266 described a grey colour leaning slightly towards amber/yellowish brown colour he was probably not describing a grey turned blue-green in appearance by the addition of clear yellow! 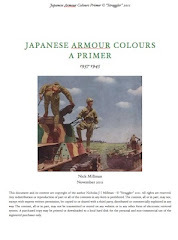 If he wished to describe a light grey-green colour then it would have been far less ambiguous to refer simply to hairyokushoku for which the IJN Kariki 117 already had the established colour standard in the 'M' series. In fact one of the test aircraft (Yo-151) used in the camouflage trials recorded in the 0266 report was specially painted overall in M1, described in the report as pale green colour (see above). 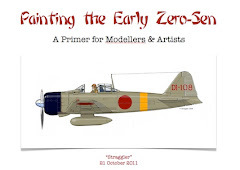 However that was not the colour described by the author throughout the rest of the report as gen'you (currently used) ameiro (amber colour) for the factory finish of the Zero. 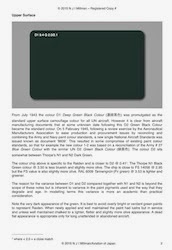 Kariki 117 also had an established standard for blue-grey colours - the 'K' series described as kaiseishoku - but the author of 0266 referred to J3 ash/grey colour, any blueish undertone for which is unproven. The measured standard chip for J3 (and its successor colour 2-6) being a Munsell GY - Green Yellow of very low colour saturation. The slight greenish undertone of the chip could well be the result of age related yellowing and it is conceivable that J3 was originally a more neutral grey, but that does not substantially alter the effect of adding yellow-brown pigments to it. Astonishingly, the extant paint appears exactly similar to the description grey colour leaning slightly towards amber colour and that description is absolutely consistent with the quantifiable attributes of the pigments and binder which it incorporates. But as my good friend observes, nothing will change and personally subjective ideas of how the colour ought to look will proliferate, as with all opinionated twaddle** on the internet. One last thing to always bear in mind if undecided. Ignoring evidence does not mean that it doesn't exist. The polymer of the paint surface is degraded by a combination of heat, moisture and light resulting in a powdery, greyish-white pigment or patina forming on the surface. This type of degradation is exacerbated by certain types of white pigment, for example the anatase form of titanium dioxide, as well as by common paint fillers and extenders like China clay. Titanium dioxide is both a UV-activated oxidation catalyst and a UV absorber. Free radicals are formed at the surface and then oxidise the paint binder by photocatalytic degradation. This reduces the gloss and produces a friable layer on the surface of the paint film - "chalking". 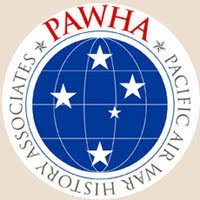 In effect the titanium dioxide pigment and any extender particles are being 'released' from the fractured binder to form a greyish-white powdery patina over the surface of the paint. That has the effect of dulling (de-saturating or washing out) and greying the appearance of the underlying colour and is often mistaken for colour fading. The powdery residue, like fine chalk dust but usually slightly greyish rather than pure white, will appear on the hand when rubbed across the paint surface. A diligent maintenance regime can reduce it but in certain environments it cannot be prevented. 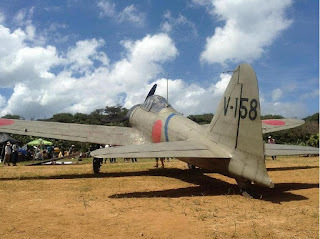 Many wartime colour photographs of aircraft reveal severe chalking of the paint surfaces, often misidentified as the 'real' colour. ** Twaddle - trivial or foolish speech or writing; nonsense.18th c an alteration of twattle (1556), of unknown origin. Thank you Nick vor a very informative summary. As they say, repetition is the mother of all learning. Many thanks Nick - interesting and informative as always and hopefully it will lay the myth of the white Zero to rest once and for all. I recall one of your blogs here showing the sample I sent on from A6M2 m/n 5349 BII-124, which demonstrated both the original colour and the chalky pale grey as it was found in 1943 and again in the 1970s when it was acquired for the Darwin Aviation Museum. The aircraft still demonstrates the differences. Thanks for this concise review Nick, it was needed. In this day and age of "alternative facts" and ignoring research and evidence, it's quite refreshing! Thanks very much for your comments, Vedran, Bob and Dan. Dan, I'm also surprised by how much the bottle cap as well as online paint charts and paint chips for XF-76 differ from the actual colour of the paint when applied. Those pictures have been used by some people to argue an RAF Sky-like colour for the Zero and I can only presume that they have never seen in real life the actual paints applied, whether XF-76 or the paint on extant artifacts! Thanks Nick. You are on the money as usual. To me the real question is why so many refuse to accept the factual evidence. Great post. And thanks Bob and Dan. For once I imagined someone who is reading about the subject in such detail for the first time. And it struck me that while many of your peers may frustrate you, Nick, in not seeing reason by believing their eyes or scientific measurement…you should take heart that most of the younger generation of builders and budding historians, who grew up computer-savvy and were not raised on Matchbox Zeros (much less Aurora ones, ahem…) will not retreat to the same fall-back. One can't know when the world may hear from them on the subject. They will have paid the most attention to what is most reasonable and best-sourced. As one of The Aged Ones, I still get to sit beside college students every workday one-on-one as a writing consultant. In general they are discriminating about subjects that interest; most are open, but they want reason. And if really become curious, they will ferret things out. If that post serves as an ‘opening argument’ as their interest in Japanese colors develops (compared, say, to my sacred tins of Humbrol A/N2 in 1980) it will not be gainsaid so easily by ‘Pink Profile Prejudice’! And if you are reading this and don't know what I mean - my point exactly. 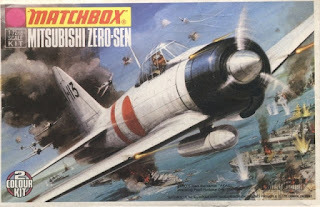 Unfortunately the frustration with inaccurate paint schemes is not limited to the Zero or other Japanese planes. I find questionable colour advice all over the place. I don't mind much if a modeller negates evidence. It's their choice as long as they don't fight it in public forums. What really disturbs me is the thousand-fold misrepresentation of paint and marking schemes in books, model kits and decal sheets. A little more research could be expected. Many errors have been around for decades. Some started right after the war with poorly restored museum planes. 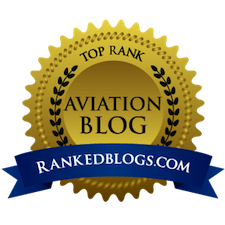 Thanks for your comments, Michael, Mark and Michael. White and black in the right proportions can make J3. However, to get a shade of khaki, you need additional pigments; or there must be damage to the paint that changes it from a neutral grey to a shade of khaki; or you need different lighting; or there must be some combination of the three. Mr. Taizō Nakamura has demonstrated that lighting with a flash for a camera can produce the sort of gold tones that would qualify as “ameiro”. So, when the Japanese naval officer said in a footnote that the Zerosen then in use was J3 and had some ameiro, he was exactly right. He was referring to an unusual finish that exhibits a lot of metamerism. I look forward to reading the article when I can make the time. Your comment warrants a more detailed response than a follow-up comment can adequately impart. So I'll respond by blog later.